Only one week to go until the GCSE Edexcel P1 Physics exam! Please read this blog post in addition to my previous post titled GCSE Science Numeracy Questions. Did you know that (based on previous past papers) around 16 marks are awarded for calculation and data interpretation questions on the P1 foundation and higher tier exams? Kilowatt-hour (kWh) can be kept in this format if the question requires the student to calculate the cost of electricity. From doing a quick analysis of GCSE Edexcel core and additional science foundation past papers, around 20% of the marks link to numeracy, data, equations and calculations. This may be similar, more or less in other exam boards. The average raw mark in Edexcel for June 2015 achieving a Grade C on the foundation core and additional papers was 32/60. Have you built time into your curriculum plan for your current Year 11s to ensure they have been taught how to tackle data handling, numeracy, equation and calculation type questions? Dedicate time in the curriculum plan: Use numeracy exam questions linked to the lesson topic you are teaching. Test students regularly: Use the Show My Homework quiz function to set multiple choice calculation quizzes and for testing knowledge on using the correct scientific units. Check your specification: What are the requirements for your specification? Are there parts you can skip for your foundation tier students because they only appear on the higher paper? Provide students with or get them to bring in calculators: If students are regularly using their smart phones as calculators in lessons, they may not get used to using a scientific calculator for their real exam. Students must show their working and give the correct units! Excellent blog post and some really useful points made. Thank you! In earlier blog posts I’ve been exploring the ways that KS3 can be reclaimed to have a positive impact on student achievement over time. Ofsted’s document KS3: The Wasted Years explores the issues affecting KS3 at the moment and, to me, gives very clear guidance to schools about what is required for them to be successful. Firstly, Ofsted state that ‘[successful schools] ensure that pupils are well aware of their school’s high expectations for behaviour and conduct, and they have a clear understanding of pupils’ achievements in primary school and build on them from day one.’ (Ofsted, 2015). For more on this see the earlier posts in this series. I had a fantastic day at the Teaching and Learning Takeover #TLT15 event yesterday at the University of Southampton, despite the M3 motorway having a 50 mph limit for most of the way there! Stephen Lockyer @mrlockyer engaged the audience with a different version of “The Very Hungry Caterpillar” story by Eric Carle. Stephen encouraged us not only to tweet and blog, but to disseminate the information we learnt into our schools, such as by e-mailing out our blogs to our colleagues. I met Jill Berry @jillberry102 at #LFE15 earlier this year and she gave me some great advice on how to succeed as a middle leader. When I saw that she would be presenting at #TLT15, I knew I had to sign up. This could involve positions such as a Deputy Head of Year, Head of Year, Head of House, Head of Learning or Head of Key Stage. This could involve positions such as a Department Key Stage Co-ordinator, Second in Department, Head of Department or Head of Faculty. Jill gave an excellent comparison between the Head of Year and Head of Department. Motorists are pedestrians and pedestrians are often motorists too. Jill wanted us to think about the positivity and reward associated with middle leadership. Most of the audience agreed it was because of our sphere of influence and being able to initiate positive change for our students. As a Head of Year, you have to think about the sphere of influence on a cohort of students, whereas a Head of Science has to think about this for every student studying science. At a National Union of Teachers (NUT) conference I went to in October 2013, Karen Lewis (President of the Chicago Teachers Union) @KarenLewisCTU said: “You can’t put students first if you’re putting teachers last.” Jill explained to us that if the staff are looked after then in turn the staff will look after the students. It is our job as middle leaders to support that within our teams and the SLT and Headteacher to ensure this for the whole school. Some middle leaders worry that they can’t do what they want to do within their department or year group due to whole school pressures. Jill said that you have to work with what you can and be the best you can possibly be within your domain. The SLT and Headteacher over time will notice how good your area is and other areas (year groups or departments) can then learn from yours. This takes time and persistence. This was a great session led by Jill and gave me loads to think about in my middle leadership roles. This was an informative session led by Sarah Findlater @MsFindlater on the reasons for questioning and different approaches to effective questioning in the classroom. Sarah advised us to avoid asking too many closed questions and ones that do not move the learning forward. Sometimes we can be guilty of this when we need to fill time in a lesson. More careful planning of questions is needed when planning the lesson. Teacher then chooses students who voted either way to get an explanation from them. This questioning method engages the whole class and allows you to ask deeper questions later on to individual students. Allow thinking time between asking the question and expecting a response. As the subject specialist it is very easy to go through the lesson quickly but if you can get used to the silence after asking a question it will be okay! Teachers should also avoid accepting a partially correct answer and students need to know it is okay to be wrong and that is how we can learn. An excellent session and many ideas to take from this back to school. This session was led by Kristian @KristianStill and Paul Kearley. Question level analysis is an important tool to pinpoint areas of weakness for a specific student so they (and the teacher) know what topics or skills they need to improve on. It is also vital to use for analysing the cohort or particular classes in certain questions. If there is a topic all students are getting wrong then the teaching of that needs to be revisited or tweaked. A good motivational idea Kristian and Paul gave was to give students alternative questions on a topic they got wrong (after some intervention) and show the students how the tracker can change. You can use Exam Pro, Exam Wizard and Test Base to find questions on particular topics for students rather than having to spend time creating your own or manually searching through past papers yourself. An excellent session and question level analysis tool given for us to use in our schools, thank you very much! This was one of the most engaging and inspiring education workshops I have ever been to led by Lindsay Skinner @lindsayjskinner who is an English Teacher, Deputy Head and Raising Standards Leader. Lindsay talked about the myths of effective differentiation, particularly when she observes lessons and sees mountains of differentiated worksheets, sometimes 30 different ones for each student in the class! She rightly pointed out that this method was unsustainable and probably does not have a significant positive impact on the progress of the students. It is a good idea to start embedding more complicated terms at GCSE and A Level down into Key Stage 3. Students are then used to the words and are not as baffled by them as they reach examination classes. This increases their vocabulary, scientific literacy and specialist terminology from an earlier starting point. Lindsay explained how it was important that the complex skills need to be taught in the classroom where the students have you (and each other) on hand for support and leave the lower end skills and much of the content for homework using a model of flipped learning. Lindsay also showed us that by using the PiXL Club PLCs (Personalised Learning Checklists) effectively, you are differentiating without having to create additional resources. Many schools, like ours, adapt the PiXL PLCs to suit their students and schemes of work but the principles are still the same. If students have model answers for the PLCs, they can learn the content at home, whereas the more complex skills can be taught in lessons. By having the colour-coded PLC tracker on the board, students can see where they are up to and what skills they need to be able to develop. In science, students could complete an examination question on a particular specification statement, the teacher could check it and then they could colour-code the tracker green. It is important to regularly save copies of the tracker, Lindsay suggested weekly. This is so you can show progress over time to your school leaders but more importantly to the students to show how much they have learnt and developed over a short space of time. This was something I used to do with BTEC Science trackers but I have now realised I can easily do this with GCSE and A Level too. Lindsay made an important point that we need intervention and differentiation like this from the start of Key Stage 3 to avoid the proverbial frantic Year 11 intervention. There was so much information from this session that I can easily take and use in school, in particular with my Year 11 classes. Thank you Lindsay! 1) Leadership: Evaluate my sphere of influence on students studying science in my school and use this to decide how I can develop this further. 3) Feedback: Investigate how we could use the question level analysis tool in different key stages within the Science Department. 4) Differentiation: Display the PLC tracker on the board, use this as differentiation and save copies each week to show progress over time. 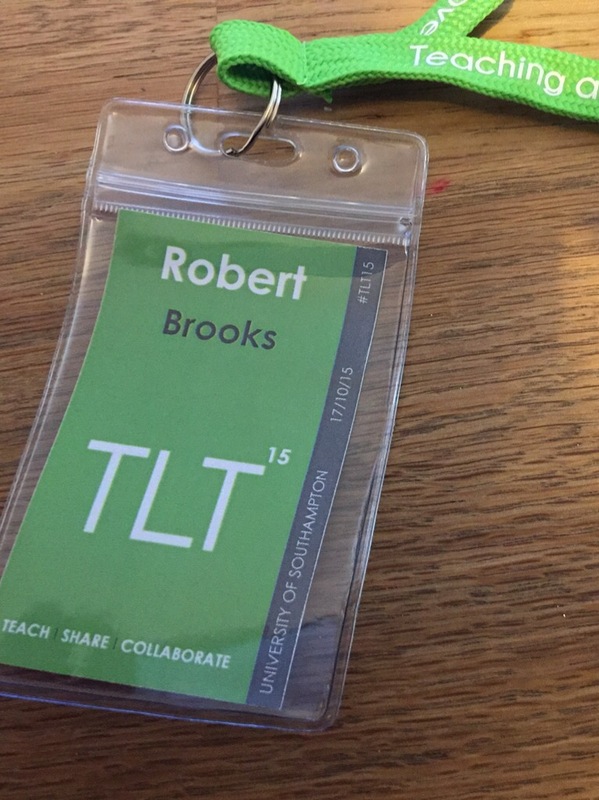 #TLT15 was a fantastic day and I really enjoyed networking with other teachers. I’m already looking forward to #TLT16 next year! Thank you to David Fawcett @davidfawcett27 and Jenn Ludgate @MissJLud for organising! Here are my slides from the #TMLeatherhead event held at Therfield School this evening. Yesterday I went to the Research Education 2015 #rED15 event at South Hampstead High School along with other teachers from my school. Thanks Richard @rolfster for organising this for us! South Hampstead High School’s Headmistress, Helen Pike, and Tom Bennett, the event organiser, welcomed us all to the event. This session was led by Daisy Christodoulou @daisychristo on life after levels. This was of particular interest to me as a KS3 Science Co-ordinator and from my work creating the PiXL Club KS223 Science levelling proforma and associated test questions with model answers. Daisy made a really important point to start off with by deciding what was wrong with National Curriculum levels before deciding what to replace them with. 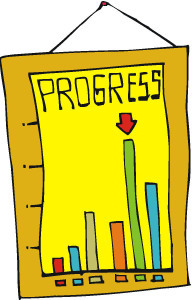 Levels were previously used for both formative and summative assessments, which was very difficult for teachers and schools to accurately track students’ progress at KS3. The National Curriculum levelling grids previously published for KS3 Science were incredibly difficult to interpret and manage for the benefit of the students. Using National Curriculum level statements to standardise how assessment happens at KS3 in all schools was flawed by schools interpreting the statements in various different ways. Daisy gave many examples of how different assessment questions could link to meeting a statement. In this particular example, if the question is phrased in one way then 90% of students met the statement but in another method only 15% of students achieved it. Daisy then explained how using multiple choice questions (MCQs) can be used for assessment beyond levels. At first I was a little skeptical to this idea as I remembered the previous GCSE Science examinations that were purely MCQs and wondered where they had a place in today’s education. I quickly realised whilst discussing with one my colleagues at the event and through the next several slides that MCQs can be used to test and build on students’ knowledge. Daisy suggested how challenge can be brought in and how to set MCQs that highlight misconceptions, such as a common incorrect answer that students may select. Daisy then discussed how using model answers to set the standard for essay or longer answer questions and moderating assessments within departments could help to secure better accuracy. Don’t replace levels with rehashed levels! Define criteria in terms of a) questions and b) pupil work. Remember that human judgement is comparative, not absolute. René Kneyber @rkneyber discussed how flipping the system occurs in Holland to change “education from the ground up.” René talked about how difficult it was to manage teachers properly and how complex it was to ‘measure’ a teacher. René then went onto explaining “flipping the system,” whereby teachers can hold more senior staff to account and allow themselves to influence educational policy. To achieve this, René talked about the importance of collaborative working so that teachers are not just staying in their own classrooms. By working collaboratively as a group, classroom practitioners can put their ideas forward in the flipping system to develop the education their pupils receive. Exam marking and re-marking: what do we know and how should we use what we know? Amanda gave possible reasons for why there has been a recent increase in appeals for exam re-marking, such as a reduction in retake opportunities due to linearisation, increased accountability pressures and expressions of dissatisfaction with marking. Amanda also stated that the greatest scope for reliability in marking was in subjects like English and Philosophy, whereas subjects like Mathematics would have a smaller scope. It was clear that there were many advantages of using electronic marking compared to marking traditional paper scripts, such as team leaders being able to instantly check the accuracy of marking. How could EARs be better? Amanda also stated that any model can be affected by human factors so it is important to continue finding ways of managing these effects. A CPD panel debated research by John Hattie and others to determine the most effective ways in which evidence-informed professional development for teachers can improve learning outcomes for pupils. Another CPD panelist stated that it is important to know how you have improved as some schools and teachers do not. Without this information, it is very difficult to move forward even more. Many schools, like ours, use BlueSky for performance management and for recording CPD. To use Daisy’s strategies for life beyond levels to help develop our KS3 Science curriculum. To develop collaborative working methods to reduce workload and increase learning outcomes. To look at ways we can develop exam marking moderation at a mock level within school to further secure grade accuracy. Overall this was a fantastic day and learning experience, topped off with a drink by the Thames at the end of the day! Best wishes for the academic year 2015/2016. You shouldn’t need to plan in as much detail as your PGCE year and in fact you won’t have the time to unless you don’t fancy sleeping until half-term! You may find that a well structured PowerPoint and a practical worksheet suffice as a ‘lesson plan’ for you. Relax when you write in your teacher planner ‘end of unit test’ and don’t do a lesson plan for these lessons. Breathe! Remember that your technicians are your number one friend in the science department! Get to know them well, buy them chocolates at the end of each term and thank them for everything they do to help you. Having these fantastic colleagues on your side means if you have forgotten to order a practical or need some photocopying at the last minute then they will try to help you as much as they can. Try not to get into the habit of this because you will soon not have the technicians (or your Head of Science) on side! Never have an ‘us and them’ culture with your technicians (or any support staff in school for that matter). When you are having an off day, and there will be some as an NQT and even further up the career ladder I can assure you, they will be the ones who will be most willing to help you. If you are having a difficulty with a student for instance that is ‘kicking off’ outside the classroom after they’ve been sent out, they may know that student well and be able to help defuse the situation. The students will see you positively interact with your colleagues and in turn will respect you for doing this too. Overall, your technicians are the engine oil for running the science department and are your number one asset as a science teacher! Check carefully with the head technician as to how far in advance you should order your practical equipment and in what format they need it in. Some science departments need a couple of days’ notice, sometimes a week’s notice! Don’t be afraid of asking for a demo set of the equipment for you to practise with before the lesson. This is good practice and helps you to see any flaws before the lesson itself. When ordering, check you have the correct quantities and it is set up in the way you would like it. Communication goes a long way here. Whilst you will need to record what you need, speak to the technician as well so you both feel at ease. Your technicians will get to know you and how you order and teach your practical lessons over time but until then be very explicit on your requisition sheets with what you need. Health and safety can be quite daunting for an NQT who has always had another science teacher supervising them whilst leading practical lessons. Be confident with your approach and have a zero tolerance on any student not wearing goggles, refusing to tie their long hair back, not standing up etc. If you feel like you do not have control during a practical, stop it immediately and switch to another task. Discuss this with your department mentor before trying another practical with that class and see what could be done differently. You may find that you are teaching an A Level class or a triple GCSE class not in your specialism. You may even come across something in the new Key Stage (KS) 3 curriculum that you weren’t taught at school yourself! Please don’t worry. Subject knowledge is something that is developed over time and you are not expected to know everything as an NQT. However, when you walk into your lab Period 1 on Monday morning, the students must believe you are the expert on that particular topic. This all comes down to lesson planning. For these types of lessons, you may need to do more than the 5 minute lesson plan. Look carefully at the exam specification and the textbook and first of all check that you are comfortable if a student were to ask you a question related to what you just read. Then, here comes the most challenging bit, think of 5 questions that students could potentially ask you about the topic that would put you on the spot! Research the answers and embed them into your lesson. Find two or three ‘cool’ facts about the topic that you can share with the students, which will boost your confidence. When giving your students and exam question to do, perhaps as part of a plenary, try this yourself without looking at the mark scheme. When ‘marking’ it, think about the common pitfalls your students may come across too. If you are still stuck, ask on Twitter #asechat or a more experienced colleague. Teachers can still be taught and a 5 minute explanation with someone could save you hours in the long run! Sometimes people forget about how much content there actually is to know in science at KS3, KS4 and the separate disciplines at A Level. There are therefore hundreds of resources and so it can be a daunting exercise having to trawl through filing cabinets in your new school, searching the internet for them etc. First of all try to see what is already in your department. Hopefully it will be all neatly organised into a shared area on the school network. This may not always be the case. Nevertheless, as an NQT you can always ask to be guided to the resources you need to use to help you teach your lessons. Your department NQT mentor should offer to do this but you may need to ask them (they will be busy!). You will probably find you need to tweak the resources but make sure you save it as your own copy in your documents and don’t alter the original file. You may have to find another resource online or create one. Make sure you find ways of sharing resources you find or create with your department, perhaps over a coffee at breaktime (if school-related conversations are allowed! ), in the corridor or at a department meeting. All of this is good to help you work as part of a team and helps you build your profile as a science teacher in your new school. Avoid sending loads of resources by e-mail to the department. Don’t be afraid to use an AQA resource for an Edexcel GCSE lesson for instance. Just check carefully that it matches the requirements of your lesson and, as above, you many need to tweak it slightly. Tweaking lesson resources will be a skill you develop over time and will stop you reinventing the wheel, which can lead to the Sunday night feeling. Were you ever set a piece of science homework as a student yourself to ‘revise for your end of unit test?’ Did you do it? If you did, did you know how to do it? No, me neither! How can you expect your students to then? 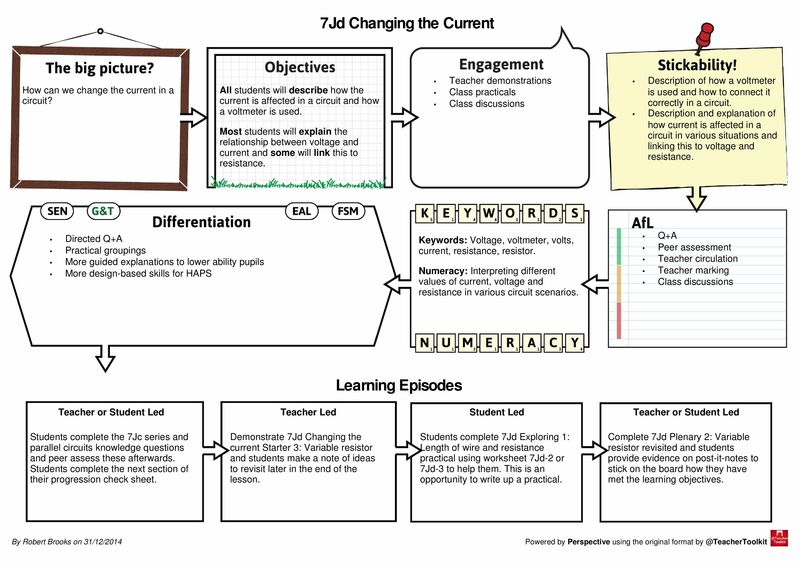 Embed into your lessons the different ways your students can revise. Listen to them too as they can share ones you maybe didn’t think of and other students in the class will hear them too. You may want to advise a mnemonic for learning the divisions of kingdoms to species or using an annotated diagram of the heart and circulatory system. Give at least a week’s notice for an end of unit test and share revision resources with your students. This may be BBC Bitesize links, links to your VLE, revision notes (Exploring Science creates these already for you at KS3! ), video clips and practice questions. Most importantly of all, ensure that the students bring in evidence of revision to you. This way you can check they have done it. If a student has got a score well below their target grade for no good reason, get them to resit this at break, lunch or after school (their time!) Your expectations of behaviour and academic progress need to be high at all times. Students generally won’t do the revision for their end of unit test if they know you are not going to check it. I hope you found this blog post useful and please also read Kelly’s article if you haven’t already as it covers a lot of advice on behaviour, relationships, work-life balance, passion and interpersonal skills that all teachers must have. For all of you science NQTs that are starting in September, I wish you all the very best. Enjoy the year, it will be a rollercoaster of emotions!